Three days after the first English colonists arrived on Jamestown island in May 1607 they sent out an exploratory party under the command of George Percy. He records that they “espied a pathway” and wanted to know where it would take them. They had found what would come to be called “The Greate Road,” now thought to be the oldest continuously used pathway in North America. Prior to the arrival of the English it had been used as a hunting trail by the Native Americans for thousands of years. The eastern branch of the Greate Road led from Jamestown to another place of importance to the local Paspahegh tribe – a source of pure, fresh, and very cold water that became known to the English as “Green Spring.” It was from this spring that the estate of Governor William Berkeley and later of Colonel Philip Ludwell III took its name. 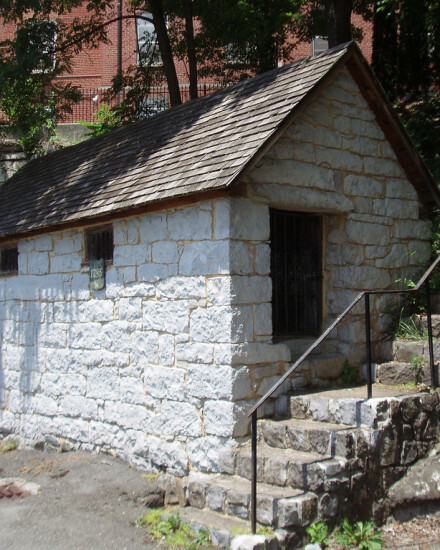 Thanks to Latrobe’s testimony we know that the eighteenth-century spring house was built of brick. The remnants of the early twentieth-century structure that still stand today are also of brick, as well as cinder block. To rebuild this modest brick structure in a style that invokes the antiquity of the Spring would be a most appropriate action. It would serve to provide visitors to the Green Spring estate with a physical and historical focal point. 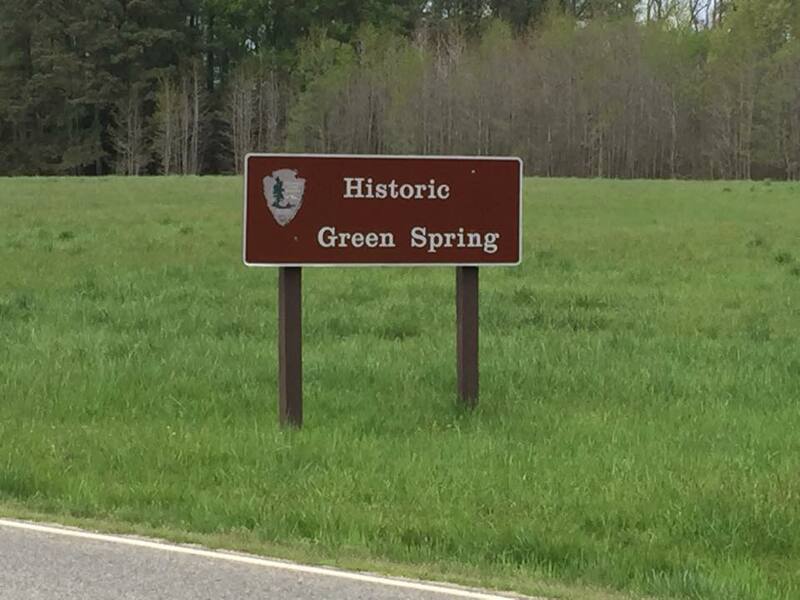 While Historic Green Spring is a part of the Colonial National Historic Park (along with Historic Jamestowne and Yorktown Battlefield), it lacks any such landmark. For Orthodox Christians who are familiar with ancient Christian practices, such a structure in this place would have additional symbolic importance. In early Christian Europe churches and shrines were often established on the site of sacred springs. The most famous of these was in Constantinople, where the “Life Giving Spring” came to be seen as representing the Virgin Mary. In the British Isles, whence the Ludwell family came, springs have been identified as Christian holy places for over 1,500 years. So the restoration of the house around the Life Giving Green Spring at the end of the ancient path of the Greate Road would give proper acknowledgement to the importance placed on the spring by Native Americans and colonial Europeans. It would also provide a fitting memorial to the Orthodox Faith of the Ludwell family, once practiced on the grounds of the plantation. Why the Name "Green Spring"? Appointed by King Charles I as Governor of the Virginia colony in 1641, William Berkeley was granted 984 acres of land designated “by name of Green Spring” near Jamestown in June 1643. By the end of the decade, he had built a massive house and facilities for entertaining that befitted his status as the King's voice in the colony. In 1680, Governor Berkeley's widow Lady Frances married Philip Ludwell, grandfather of Philip Ludwell III, thus bringing the property into the ownership of the Ludwell family. The impressive Governor's Palace in Colonial Williamsburg was built in the early 1700s, partly in reaction to the Ludwell's grand Green Spring estate which no longer served as the royal governor's residence. As any visitor can still see today, the property was named for a still-mossy spring which a visitor in the 1680s described as “so very cold that ’twas dangerous drinking the water thereof in Summer-time.” An early 20th-century structure currently surrounds the original green spring.